Affluent Wentworth voters hoping to express discontent with the dissidents who removed their prime minister might inflict massive financial losses on themselves in what is one of Australia's most investment-orientated electorates. The timing of Labor's policies could not be worse with the royal commission having wiped $42 billion off the value of the major banks – hammering super funds' equity portfolios – while limiting borrowers' access to credit. 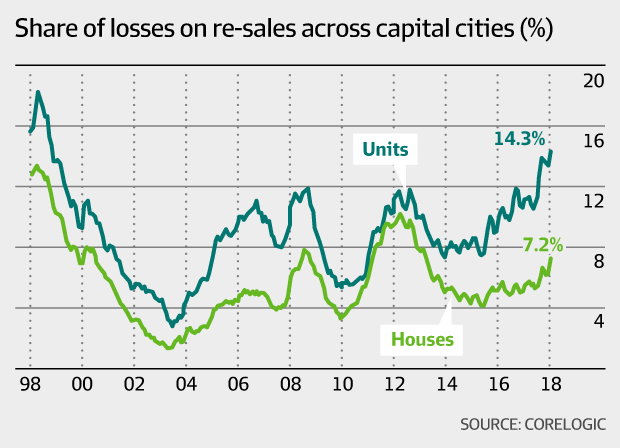 Research from CoreLogic shows the share of apartment owners – most of whom are investors – that lose money when they sell their asset has climbed to its highest level nationally since the 1990s before accounting for stamp duty, real estate commissions, mortgage repayments and maintenance costs. And with record numbers of apartments in Sydney, Melbourne and Brisbane still under construction, this pain is only likely to worsen. 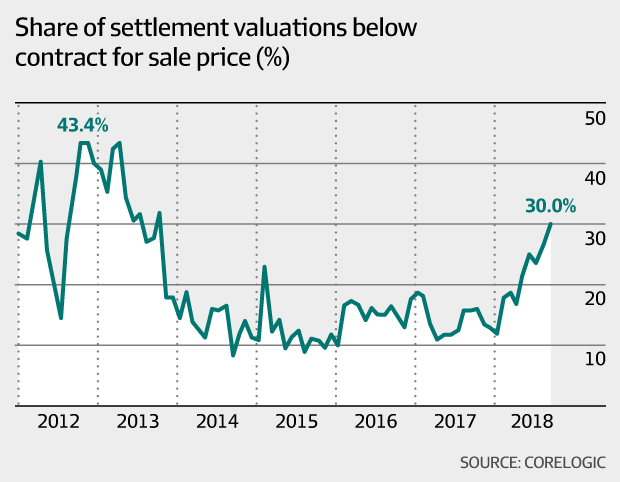 One leading indicator is the difference between the off-the-plan sales price buyers paid and the value of their property when it finally settles. Last Friday I demolished the pervasive myth that investors should buy fixed-rate bonds as a hedge against equity losses. 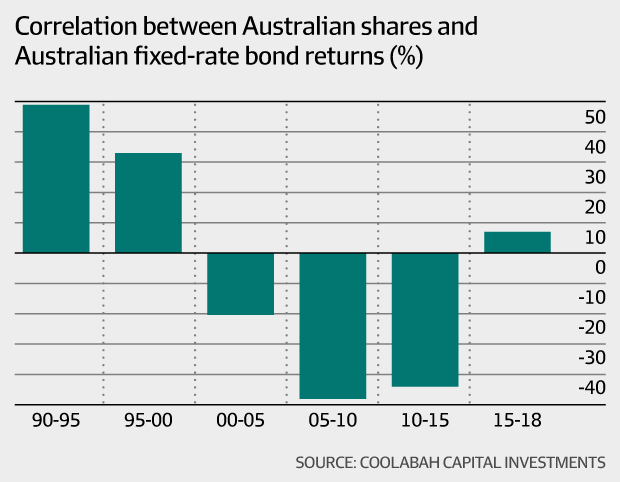 In particular, I showed that the long-term correlation between Australian equities and fixed-rate bonds has been on average zero since 1990 and punctuated by several periods when it was sharply positive (not negative). One counter is that the mythical hedge fixed-rate bonds provide comes into play when equities fall. My response is that it depends on whether equity losses are being driven by an inflationary or deflationary shock. The correlation turned negative in the first deflationary shock during the "tech wreck" in the early 2000s. This negativity increased over the next decade between 2005 and 2015, which spanned the GFC. Crucially, the correlation has swung positive again in the period since 2015 as global inflation has re-ignited.